There is an impressive display in the Israel Museum where a number of wonderful finds from the Herodium are prominently displayed in the Second Temple Section. 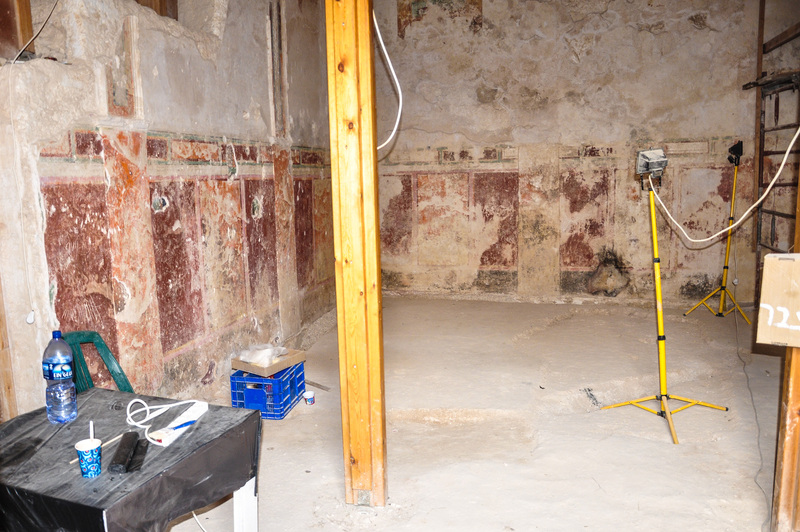 These included two wall paintings from the Royal Box that was associated with the theater. 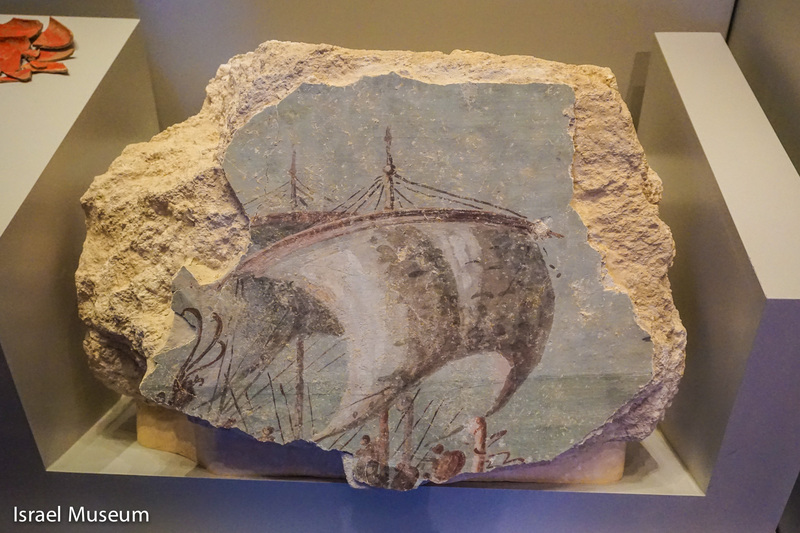 Naval Battle A wall fragment/painting from the Royal Box of the theater at the Herodium. Click on image to Enlarge and/or Download. It depicts a naval battle with two ships with sails billowing the wind. On the deck are soldiers armed with shield and spears. “The painting may represent the victory at Actium and possibly the beginning of Augustus’s rule following the conquest of Egypt. The choice of theme supports the possibility that the royal Room was decorated in anticipation of the visit of Marcus Agrippa, Augustus’s second–­in–­command, in 15 BCE, since he was the general responsible for the victory.” — From the description of the painting in the Israel Museum. 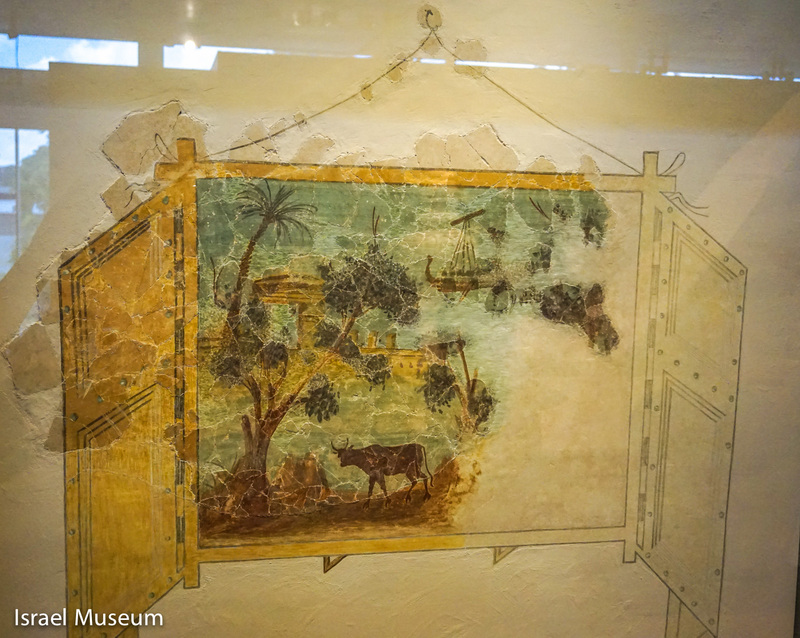 Nature A wall fragment/painting from the Royal Box of the theater at the Herodium. Click on image to Enlarge and/or Download. “In this painting the artist depicts a sea view along with a bull, trees, a temple, a palm tree, and a boat, recalling sacred scenes from the time of Augustus while also alluding to the conquest of Egypt. “The walls of the Royal Room were decorated with wall paintings in the secco technique [painting on dry plaster] and stuccowork. They were divided vertically by stuccowork pilasters and decorated with painted ‘hanging pictures’ that were suspended by imaginary ‘strings’ and ‘nails.’ [See the picture above] The pictures imitate windows with open shutters affording views of imaginary landscapes.” — From the description of the painting in the Israel Museum. The Royal Box in the spring of 2014. Royal Box A view of the interior of the “Royal Box” above the theater at the Herodium. 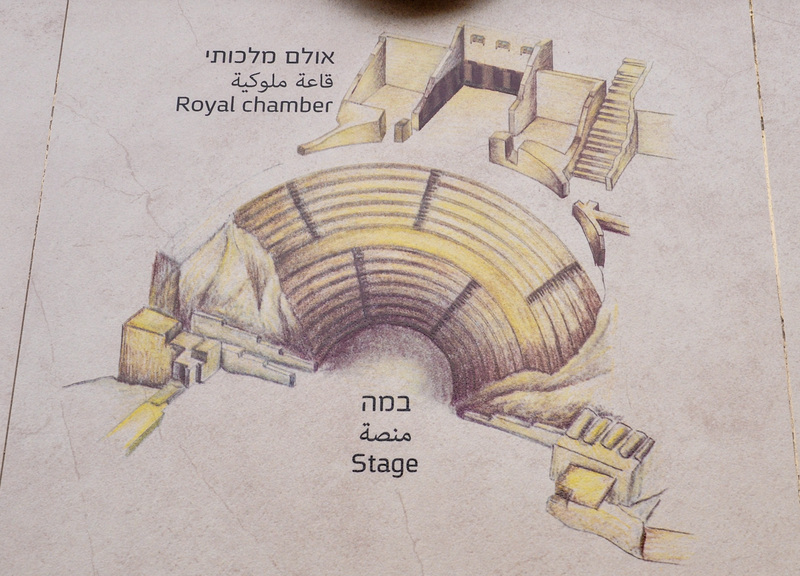 Note the well–preserved paintings on the wall. This entry was posted in Flora and Fauna, Museums, Places in Israel and tagged Herod the Great, Herodium, Israel Museum, Secco. Bookmark the permalink.